The Washington Marine Resources Advisory Council has released an addendum to the 2012 report Ocean Acidification: From Knowledge to Action. The original report established a statewide strategy for addressing ocean acidification in Washington. The addendum identifies updates based on emerging science and management practices and is intended to be a companion to the 2012 report. 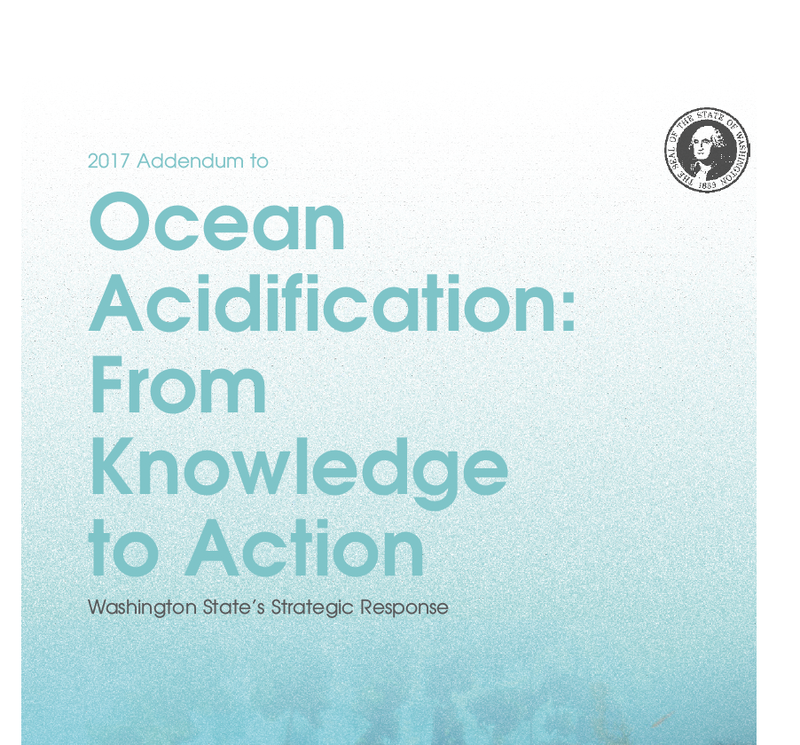 Washington Marine Resources Advisory Council (2017): 2017 Addendum to Ocean Acidification: From Knowledge to Action, Washington State’s Strategic Response. EnviroIssues (eds). Seattle, Washington. Download the full report (external link). Project team: Angie Thomson, EnviroIssues Daniel Brody, EnviroIssues Lauren Dennis, EnviroIssues Cory Baranski, EnviroIssues. Contributors: We thank the many authors and contributors for their extensive work in the development of this addendum to the Blue Ribbon Panel Report on Ocean Acidification. We want to especially thank Jan Newton, Terrie Klinger, and Richard Feely for their efforts on Chapters 2 and 7. Special thanks also to members of the Marine Resources Advisory Council and its ad hoc committees who developed the recommendations included (see Appendix 1 for a full list of participants). Photographs were provided by a number of individuals and entities.